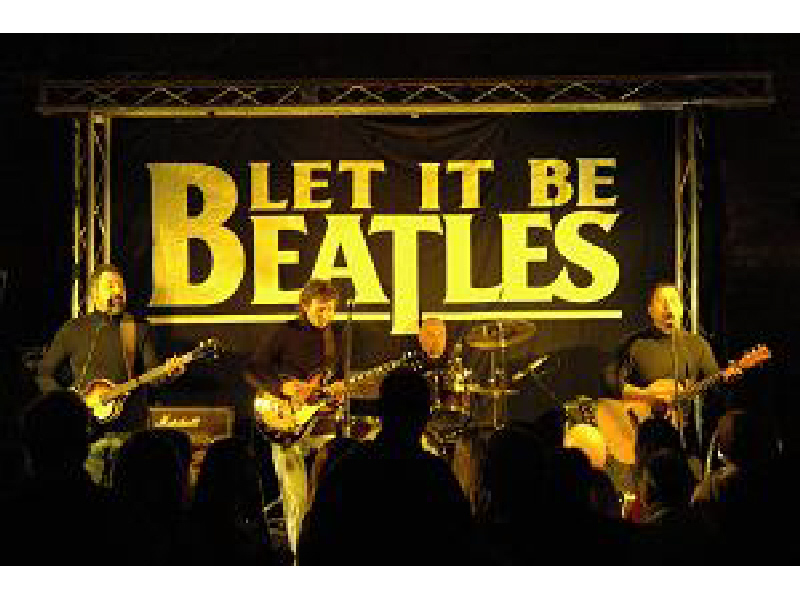 Last weekend I went along to see the Let It Be Beatles show at a local hotel as a tag along guest at my partner's work Christmas function. I wouldn't say I'm a fanatical fan of Beatles music but I do enjoy most of their hits - though my preference is for their later work, when they were able to really explore their musical creativity. Personally I was a little disappointed by the show, not because of the band or the performance but because it was just too loud for the room. Don't get me wrong, I like my live music loud but I was having a hard time making out what the band members were saying even just speaking into the microphones between songs. Granted we were seated near the front, so you'd expect it to be louder but we were still at the opposite side of the dance floor to the band and there was a table (it was dinner and a show) of people in front of us. I'm sure it sounded great to the people up the back, down the elevator and in the ground floor dining room. Just before the first interval the band also said they were having trouble hearing themselves - so the sound definitely wasn't right even for them. We left about two thirds into the show because our ears just couldn't take it anymore. Mine were buzzing every time the music got a little loud - and that was after the sound guy seemed to get the level a little more appropriate for the room. Still could hear the band clearly at the bottom of the stair well (located right up the opposite side of the hotel to where the band was) as we left. I didn't get to hear the songs from later albums I would like to have heard but one could argue I wouldn't really have heard them had we stayed - since I was trying to block my ears a little to get the volume down without much success. However, don't let me put you off if you're a Beatles fan and you'd like to see a really good cover band perform their songs faithfully to the originals. 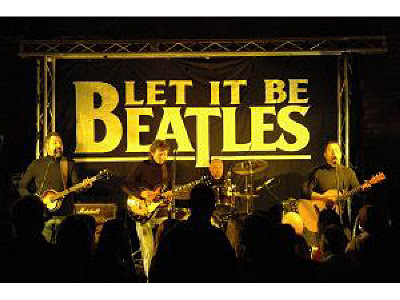 Let It Be Beatles certainly did that well on the songs that I knew. A particular highlight was 'Paperback Writer,' despite only being able to hear about half the lyrics. Maybe I don't get out to events often enough but it struck me as kind of fascinating to see so many people watching the show with (smart) mobile phones close to hand. Plenty of people taking pictures or just generally doing things on their phones - especially at our table. I have a smart phone too but I don't live through it when I'm out. Most of the time it's a substitute for not wearing a watch or so my partner can text me. Occasionally I'll use it for internet or take pictures and video but not that often. It was just fascinating to see so many phones because I remember a time when you could go to events like this and even the first consumer digital cameras hadn't been invented yet. For the people in the audience that actually went to a Beatles concert (and there were one or two because the band asked) it may have been quite a reminder at just how far technology has progressed. Pity about the sound. I would have enjoyed a thing like that if the sound had been right. Lesley,my daughter and your sister(I'm just putting that for the benefit of anyone else reading this) is very rude with her phone when we have been out together. She sits there doing things on it, and I sit there like a spare bookend, totally invisible it seems. I might just as well not be there! I told her it was rude. Don't think she'd do it with anyone else. Hope you didn't lose any of your hearing whilst you were there! Pleased you left before any damage was done!